We acknowledge the computational resources provided by the Aalto Science-IT project. The calculations presented above were performed using computer resources within the Aalto University School of Science “Science-IT” project. We can’t automatically track all the Triton publications. We need all users to link the publications to Science-IT in ACRIS. It takes about 30 seconds if you aren’t looking at ACRIS now, or 5 when you are already there. All publications are required to be in ACRIS anyway, so this is a fast process. If your publication is not already there, then see your department’s ACRIS instructions, or the general help below. You are done! You can see if your publications appears on the list above. 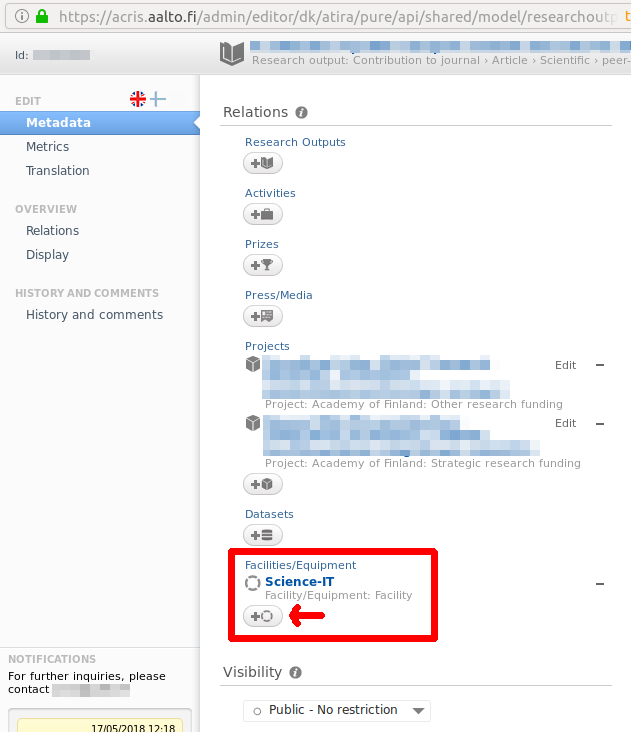 Manually adding journal article (most are automatically transferred): Submitting a journal article on ACRIShelp. Should you have problems, first contact your department’s ACRIS help. If a publication or academic output somehow can’t be linked, let us know and we will make sure that we include it in our own lists.